Real Madrid star Cristiano Ronaldo won the fifth Ballon d’Or of his career on Thursday, matching Lionel Messi as the most-awarded winner of one of the sport’s top individual honors. 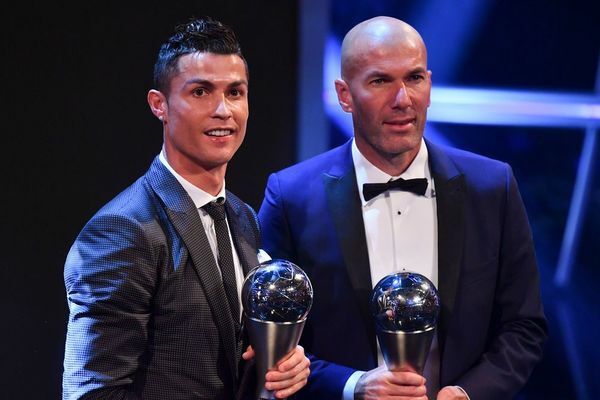 Ronaldo won the award for the second consecutive time, after a year that saw him help Madrid to a third Champions League crown in four seasons and a first La Liga title in five years, as well as the FIFA Club World Cup. Ronaldo accepted the award at a ceremony at the Eiffel Tower in Paris, where he said: “I feel very happy, it’s a fantastic moment in my career, I’ve been waiting for this for a long time. Barcelona’s Messi finished second in the voting, now conducted by a global panel of journalists and organized by France Football magazine after a split from a partnership with FIFA that ran from 2010-15. In October, Ronaldo also won FIFA’s top award, being named Best Men’s Player for the second straight year. Thursday’s award marked the seventh straight year that Messi and Ronaldo have finished in the top two for the Ballon d’Or. No one else has won since Kaka in 2007 when Ronaldo was second and Messi third. Ronaldo previously won in 2008, 2013, 2014 and 2016. Messi won the award four straight times from 2009-12, as well as in 2015. Neymar, who moved from Barcelona to Paris Saint-Germain this summer, finished third for the second time in his career. Juventus goalkeeper Gianluigi Buffon was fourth. Two of Ronaldo’s Real Madrid teammates followed, with Luka Modric fifth and Sergio Ramos sixth as the top defender on the list. Atletico Madrid’s Antoine Griezmann fell to 18th in this year’s voting after finishing third in 2016. This award is the 10th Ballon d’Or won by a Real Madrid player, and only Barcelona have won more with 11. This was also the seventh Ballon d’Or award won by a Portuguese player, tying Germany and Netherlands for the most. 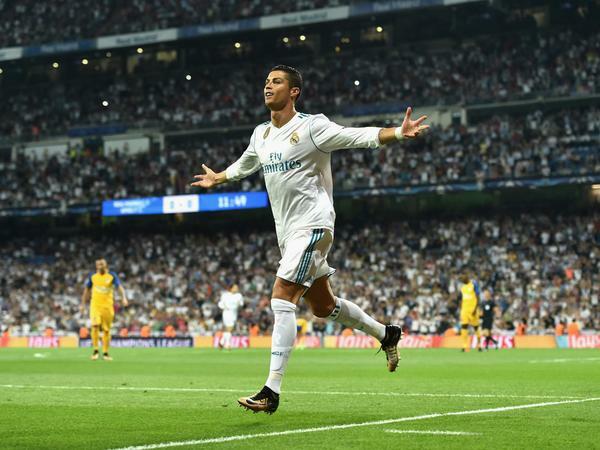 A day earlier, Ronaldo became the first player in history to score a goal in each of the six Champions League group games, when he netted Madrid’s second against Borussia Dortmund on Wednesday night. 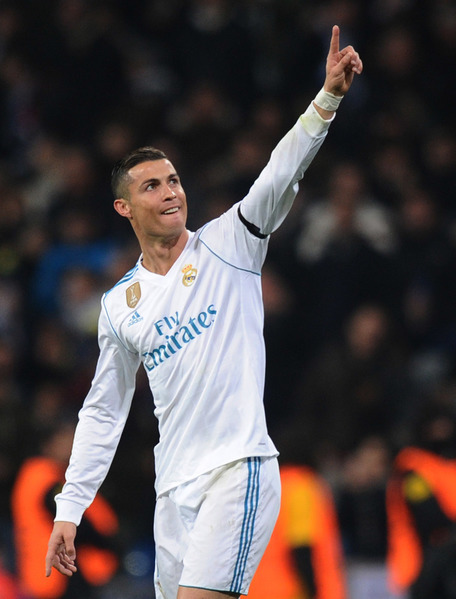 Although he has scored nine goals in the Champions League, he has only managed two goals and two assists in 10 La Liga appearances, with Madrid eight points behind leaders Barcelona after 14 games. But Ronaldo, who welcomed his fourth child recently, told L’Equipe last month that he’s eager to win two more Ballons d’Or, saying: “I want seven children and as many Ballons d’Or. As long as I play, I’ll have the ambition to win all I can.